The one really cool find though was this. 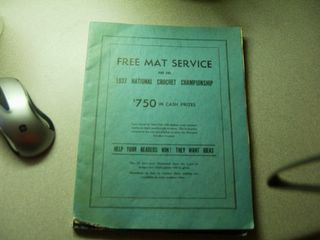 It's an original of a brochure of Mats or what look like advertising posters sent to State Fair planners and newspapers advertising the 1937 National Crochet Championship. While there aren't any patterns, it's really cool to look at what they would consider prize winning entries as examples. Very cool. I found quite a few "treasures" also when I went through my Great Aunt's house this past April, also. Like you, some things really were treasures, and some were like "oh my goodness, what was she thinking" treasures. Hope you're healing well and looking forward to your brother's visit. 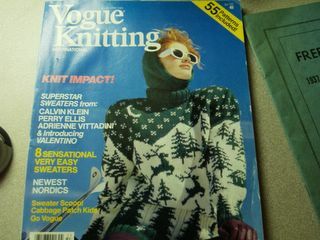 Can't wait to see what you make from that issue!! Enjoy your treasures and I hope you're healing well, too. Be safe! Oh, wow - that cover picture boggles the mind! And the brochure is very cool.